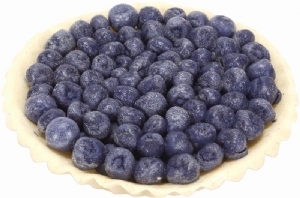 Many varieties of blueberries are either cross-sterile or self-sterile. In order to maximize fruit production, farmers will rent beehives from pollination services. Studies have shown that for each hive placed per acre, the farmer can expect another 1,000 pounds of fruit! Some farmers will rent as many as 5 hives per acre in order to grow the largest crop possible. Our blueberry honey comes from Maine and has a wonderful blueberry taste that is perfect as a syrup on pancakes! Blueberry Honey is sweet, with a slight hint of Blueberry. Great for pancakes, oatmeal, or grits. This is raw honey.